The Columbus, Ohio employment attorneys at Nardone Limited regularly assist our clients with labor and employment issues, such as Department of Labor compliance, as well as guidance on preventing and responding to discrimination and harassment charging affidavits filed with the Equal Employment Opportunity Commission (“EEOC”) and the Ohio Civil Rights Commission (“OCRC”). The recent and ongoing #MeToo Movement has cast a spotlight on the issue of giving a voice to sexual harassment victims across many different industries, and at all levels of society. And, statistics from the Equal Employment Opportunity Commission demonstrate that the increased spotlight on giving a voice to sexual assault victims has led more victims of workplace sexual harassment to come forward and bring charges against their alleged harassers. Specifically, EEOC data indicates that EEOC discrimination charges alleging sexual harassment have increased by more than 12% from fiscal year 2017 to fiscal year 2018. And, EEOC findings of reasonable cause to bring a lawsuit relating to sexual harassment claims have increased from 970 in fiscal year 2017 to 1,200 in fiscal year 2018. 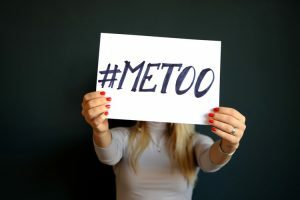 Thus, the statistics make clear that the #MeToo Movement has been successful in sparking a discussion and has encouraged employees to come forward and report incidents of sexual harassment. But, the question then is: What preventative steps can employers take to help proactively reduce and limit sexual harassment in the workplace? Review and examine your company policies regarding sexual harassment. Consider whether changes are needed to your company’s current policies. Ensure that all of your policies regarding harassment provide a clear channel for internally communicating the claims of harassment. And, ensure that any claims of harassment are internally investigated and taken seriously. Start the conversation. Review and discuss your sexual harassment policies with your workforce. Reviewing and discussing your policy can help emphasize to your team that your company has a policy in place, enforces its policies, and will conduct a good faith investigation of any allegations under the policy. Commit to a culture of compliance regarding sexual harassment. Consider conducting an anti-harassment training at your workplace to help emphasize to employees that you are following and committed to enforcing your company’s sexual harassment policies. Committing to compliance can have the two-fold benefit of reducing employee misconduct, and reducing potential employer liability for isolated instances of employee misconduct. Follow through on your company policy and conduct a thorough and unbiased investigation of any allegations. We recommend that companies set and follow an established process and timeline for conducting timely interviews regarding an investigation. Care should be given to ensure that the company does not assign an individual with bias towards the accuser or accused for purposes of investigating allegations. Additionally, if the allegations are serious in nature, we recommend getting outside counsel involved immediately to ensure a thorough investigation, appropriate response, and to limit company exposure as much as possible. Conclude investigations in a timely manner with finality, and swift punishment in the event of wrongdoing. Ensure that investigations regarding sexual harassment are concluded in a timely manner with clear findings and swift discipline of the alleged harasser when applicable. For details regarding the EEOC statistics referenced above, see EEOC Charge Statistics, available online at: https://www.eeoc.gov/eeoc/statistics/enforcement/charges.cfm.